The US spends more per capita on healthcare than any other nation on the planet(R), at over $1 Trillion/year with costs growing. Over 3/4 of those costs are related to the treatment of chronic disease, such as autoimmune disorders, cancer, diabetes, Alzheimer’s, autism, cardiovascular disease, etc. (R) The rates of all such diseases are growing, not decreasing, so obviously the true causes of these problems aren’t being addressed. If you were to try and describe virtually all forms of degenerative disease with just one word, that word would be “inflammation”. (R) The research is very clear about this fact. 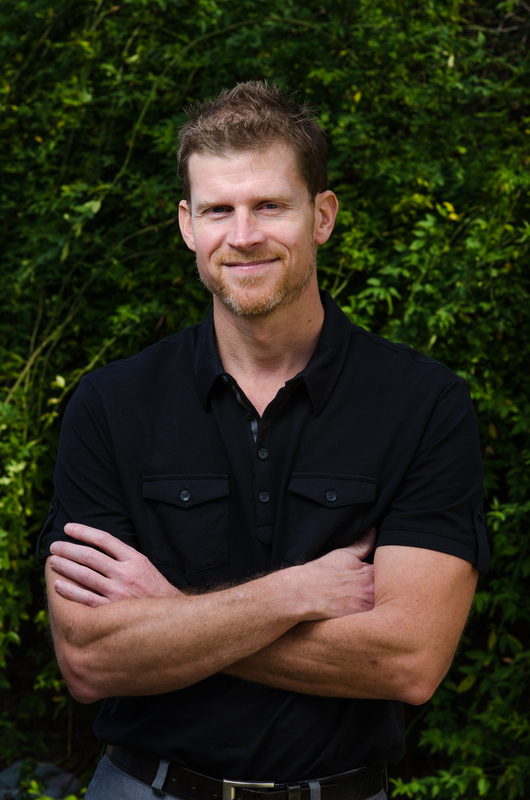 When examining the prime factors behind the surge in inflammatory issues there are principally 3 things that stand out as different about today versus 25 years ago. Those 3 things are the widespread consumption of RoundUp laden genetically modified food and wheat (R)(R), wireless technology (R), and a surge in the number of vaccines given relative to years past (R). The biological effects of each of these technologies is understood well enough to help put the pieces together and begin to understand how their effects may work synergistically to promote the chronic inflammatory disease epidemic we’re firmly in. In a previous blog post, “Synergistic Destruction: How Vaccines and GMOs Converge to Fuel Autism and Neurodegenerative Disorders“, I provided a heavily referenced explanation for key factors driving neurodegenerative conditions with a particular emphasis on autism. 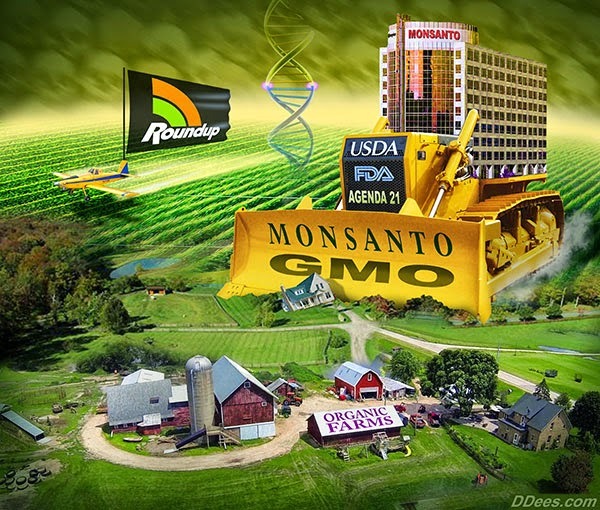 The gist of the article is that genetically modified food, through its contamination of Monsanto’s roundup residue was leading to gut flora alterations(R)(R)(R) which break down the gut barrier (leaky gut) initiating inflammatory processes within the brains of susceptible individuals. The fire embers of leaky gut driven brain inflammation could then ignite into significant and persistent brain inflammation through the introduction of vaccines and express its effects in much of what is seen in autism, ‘, ALS, MS, Parkinson’s, etc. It is recommended that you first read that post before reading this. Melatonin: The Premier Protective Molecule of Our Body is Depleted By Modern Technology. In a recent blog post, (advisable to also read first), about the many biochemically important functions of melatonin, I describe how melatonin is a key which turns on a cellular switch called “NRF2” that triggers cellular production of many key antioxidants, including glutathione. In addition, you’ll see that altered gut ecology driven in part by Monsanto’s RoundUp residue can compromise production of melatonin. 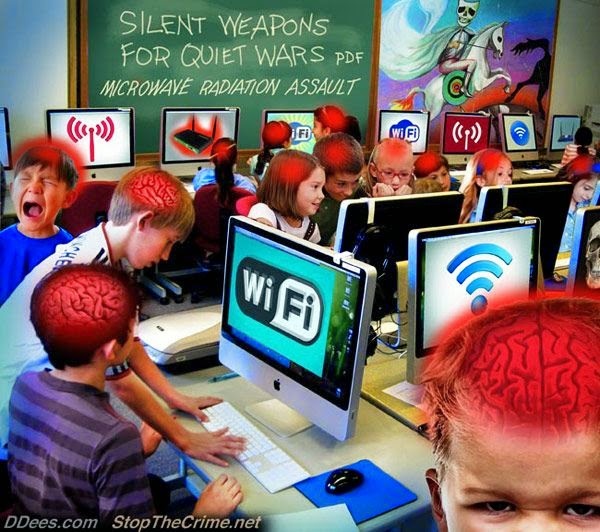 This compromise in production is further hindered by fluoridated water calcifying the melatonin producing pineal gland(R), night time artificial light exposure (R), and what is produced is being burned up through the overproduction of free radicals upon exposure to the sea of electromagnetic wireless radiation we commonly find ourselves immersed in. Here’s where things get more interesting. When examining inflammatory, especially autoimmune, disorders there is a wing of the immune system cells that are over-expressed or under suppressed. The expression is shaped by the immune messaging molecules called “cytokines”. 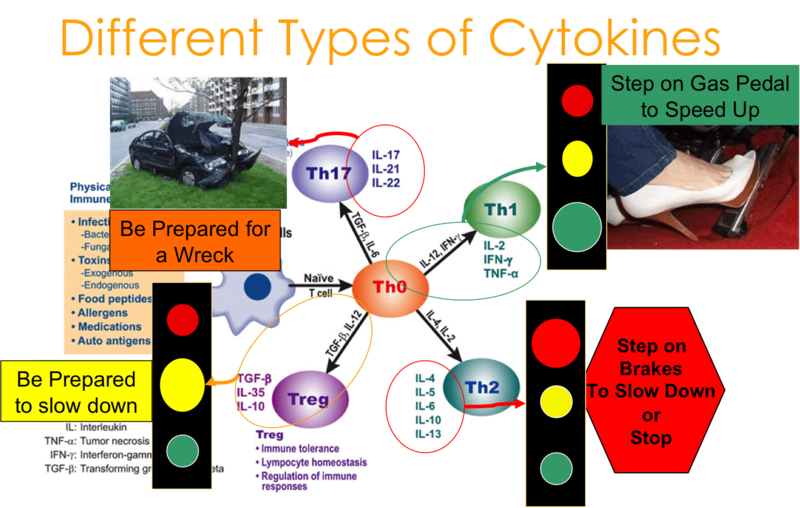 Different cytokines lead to different branches of immune system expression. The immune system was once thought to be divided into TH1/TH2 balance, where TH 1 is principally characterized as the immune defense within the cells and TH2 as immune defense outside of the cells. More current research now recognizes another subset of immune cells called TH 17 that appears to be the most destructive component of the immune system when it’s not brought into balance. You’ll find the proinflammatory TH 17 elevations in autism(R), Alzheimer’s (R), ALS (R), cancer (R), cardiovascular disease (R) Crohns disease (R), Hastimotos thyroidits (R), Graves Disease (R), MS (R), Parkisons (R), rheumatoid arthritis (R), lupus (R), psoriasis (R), seasonal allergies (R), and likely every other autoimmune disorder that exists. It begins in the gut. Alterations within the gut flora are occurring in large part through the consumption of RoundUp residue in genetically modified food, not to mention sugar/HFCS processed food and overly prescribed antibiotics. This gut flora alteration is commonly characterized by an overgrowth of pathogenic bacteria which break down the lining of the gut. Furthermore, the gut flora alterations then compromise the ability for the body to make the raw ingredients for melatonin production, namely tryptophan and serotonin. 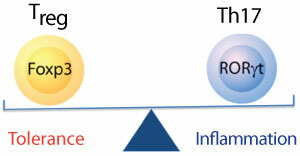 The lining of the gut is maintained, in part, by melatonin(R). As the microbes and their waste products seep into the blood stream the immune system within the periphery of the body releases inflammatory molecules which begin to promote proinflammatory activity in the nervous system. This proinflammatory activity state is called, microglial activation. The microglial cells being the primary immune cells of the nervous system are prone to shifting from a beneficial state of repair and surveillance into a destructive state of inflammation when they lack adequate amounts of glutathione. Likewise, glutathione also plays an important role in maintaining adequate levels of T regulatory cells which help to prevent excessive production and response of the immune system. It is melatonin which turns the switch on for cellular glutathione production via a cellular switch called NRF2, and thus not only plays an important role in preventing and repairing leaky gut, but also prevents the immune system from shifting into a destructive and proinflammatory state systemically. The only way to avoid the worsening of the catastrophe of chronic illness is through education and action. This isn’t a call for an Amish revolution. The reality is that we don’t need GMO food to feed the world, and the frequencies being used with wireless technology could, in theory, be replaced with health promoting frequencies, or fiber optic connections. Likewise, if you believe in vaccination, I’m not against taking that right away from you, nor am I overly concerned with the fact that, upon receiving your vaccine, you may be spreading the pathogens which you believe you’re being protected from. (R)(R) However, if you really believe in vaccines, you shouldn’t have anything to fear from the unvaccinated population, right?